Last Sunday the first three soldiers were enrolled in Seda. Seda is an outpost on its way to become a corps (local church). The hall was full of interested people from the village already forty minutes before the service started. Picture: The three new soldiers in the middle. The Corps Leaders on the right. On the left the Regional Commanders with their Assistant holding the flag. five and six year olds. 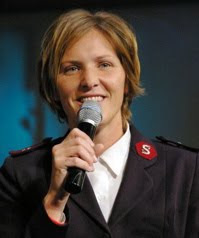 The web-site of the Former Salvation Army Officers Fellowship have published a series of articles written by Danielle Strickland. 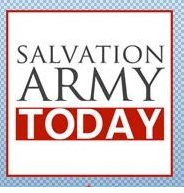 The articles deals with womens opportunities to serve in the Salvation Army. Read them! Below you will find links to the different articles. 'FORMERS' DONATE 150 WINTER COATS ! The SA Sweden (Myrorna) has assumed all costs associated with the coat project (except the transport). As a result we can now begin concentrating on new Latvian projects. We will deliver 150 children's and some adults' Warm Winter Coats to The SA Latvia in December. All the coats are a gift from our fellowship and demonstrates our commitment to the ongoing, difficult and demanding work in this former Soviet Union country. 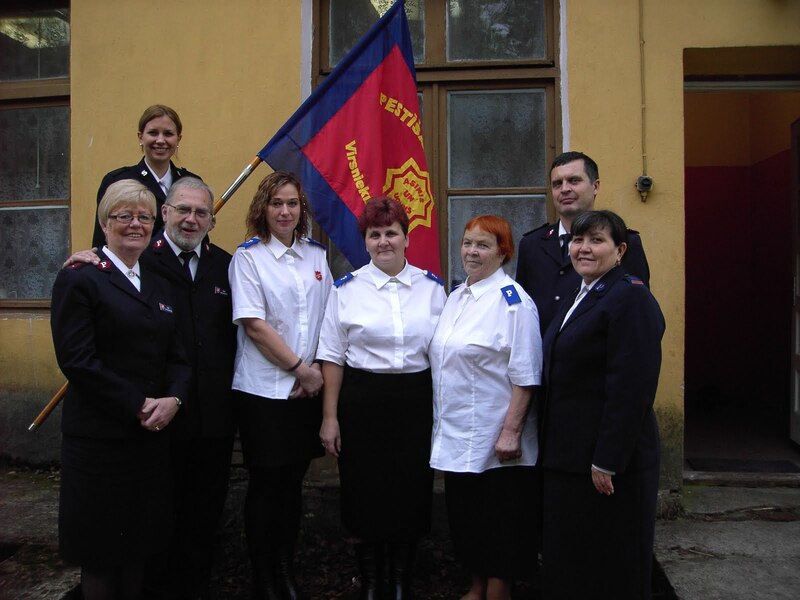 Our fellowship has already donated money to provide school lunches in three Latvian villages through May 2010. Watch for information where your CHRISTmas donation of $10-50.00 may be sent. $1,200.00 HAS BEEN DONATED TO DATE ! From Christian History Blog by Collin Hansen. "The 20th anniversary of the Berlin Wall's fall passed with some fanfare on November 9. Speaking as someone born in the 1980s, I admit that it is difficult to remember much about the divided Europe that this wall symbolized. Stories of the oppressive Communist rule in East Germany strike me as far-removed, not the grim reality for millions as recently as 1989. I remember much more clearly the exultant speeches delivered by Western politicians as Communism collapsed elsewhere in the following years. Today, it is easy for all of us to forget that many millions live in worse conditions than even the East Germans endured. Indeed, the totalitarian government of North Korea imprisons an entire nation that once enjoyed the blessing of revival." "I was reminded about GK Chesterton's famous quote: "Tradition means giving a vote to most obscure of all classes, our ancestors. It is the democracy of the dead. Tradition refuses to submit to the small and arrogant oligarchy of those who merely happen to be walking about. All democrats object to men being disqualified by the accident of birth; tradition objects to their being disqualified by the accident of death. Democracy tells us not to neglect a good man's opinion, even if he is our groom; tradition asks us not to neglect a good man's opinion, even if he is our father." PS. The Church of Sweden, Lutheran and former state church, recently decided to introduce a gay marriage ceremony in the church, thus blatantly ignoring Christian beliefs and traditions held by the Church worldwide for 2000 years. This begs the question: Has the church of Sweden cut itself off from the two axes of the church? Has it given in to “the arrogant oligarchy of those who merely happen to be walking about”?"